Please write us at hello AT betweenpageandscreen.com. That address goes to both of us (Brad and Amaranth), and we'd love to hear from you. We're also available @amaranthborsuk and @bradbouse. If you're having trouble reading the book, please visit our help page. 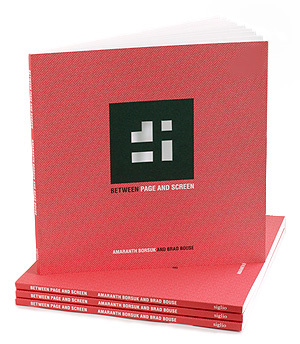 If you'd like to buy a copy of Between Page and Screen please visit SpringGun Press or Amazon. If you'd like to be updated about the project, please join our facebook page.